CHAMBLY, QC – Unibroue has announced a new addition to its line-up of limited edition seasonal ales. 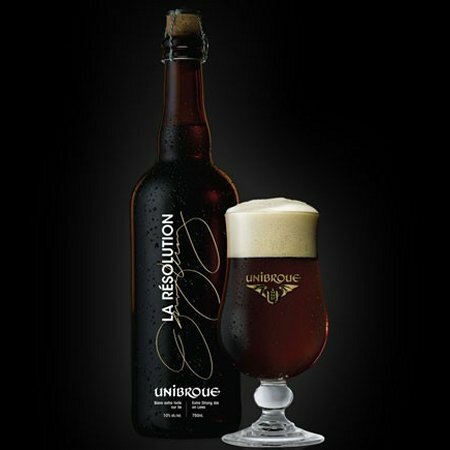 La Résolution is a dark ale with spicy character inspired by a recipe our brewmaster Jerry Vietz created for his friends. At 10% alcohol, its spicy caramel aroma evolves on the palate into pleasant and complex notes of toffee with reminiscence of a tasty gingerbread. The perfect balance between spicy, caramel and roasted malt flavours is complemented by a nice roundness and persistent finish. La Résolution is available now in Quebec and several western provinces, and will be available soon in Ontario. PUT IT IN MY MOUTH.